Come join us on Memorial Day! Please note that our course has changed from previous years, but still starts and finishes at Mary S. Young Park in West Linn. 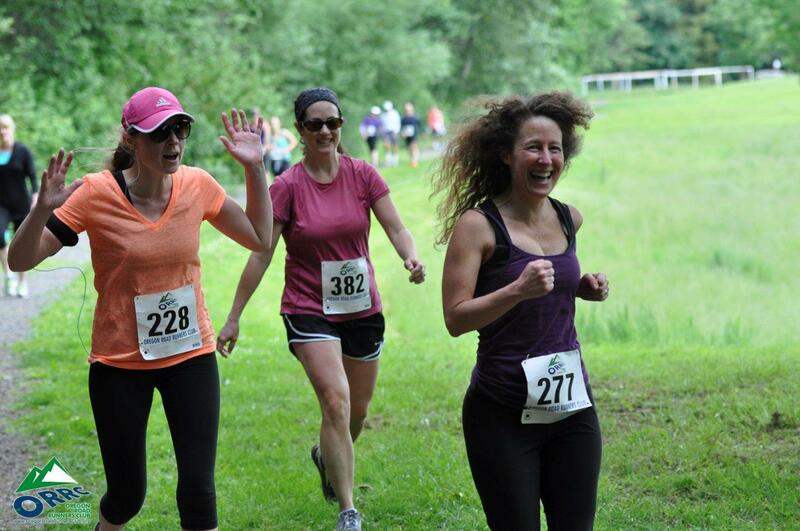 The 2019 Up the Lazy River 10k will be on Monday, May 27 – Memorial Day – at Mary S. Young Park in West Linn. Donations to this race will go to Willie Fit, a running program for students at Wilsonville High School. To sponsor a Willie Fit runner, make a donation of at least $5 during the registration process. NOTE: Online registration closes at midnight Saturday, May 25th. After that time you can register on-site at the event on May 27. Please also note that if you register after Friday, May 24th 11:59 pm you can only pick up your bib the morning of the race. Your registration includes a finishers medal and a pair of custom Fitsok socks. Price increase occurs on May 1st and again for day-of-event registrations. Friday, May 24, 8:00 pm: Registration deadline for early packet pickup. Saturday, May 25, 11:30-3:00 pm: Early packet pickup at Oregon City Brewing. Saturday, May 25, 11:59 pm: Deadline for online registration. After this, prices increase and day-of-race registration is required. Monday, May 27, 7:30 am: Day of race registration and packet pickup. Monday, May 27 through Monday, June 3 – be sure to use your FREE BEER tear-off from your event bib at Oregon City Brewing. Offer expires June 3. Awards will be handed out as finishers come in; there is no formal awards ceremony. Awards will not be mailed after the race so be sure to stop by the timing tables to see if you earned one. ORRC members get a $10 discount when they checkout – only during online preregistration which ends Saturday, May 25th. Pre-registration prices end when online registration closes on Saturday, May 25, 2019 at 11:59p. 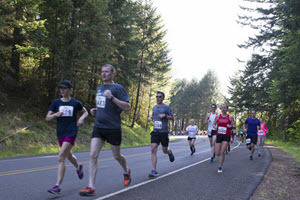 Oregon City, OR 97045 — Participants get $1 off beers at Oregon City Brewing during bib pickup. Registration will be available at the pre-race packet pickup event – $45 – no ORRC discount available at the pre-race packet pickup event. NOTE: Only those that register prior to 8 pm Friday, May 24th can pick up their bibs early at the Oregon City Brewing packet pickup. The 10K course has been somewhat revised for 2019 to remove running/walking along Highway 43. 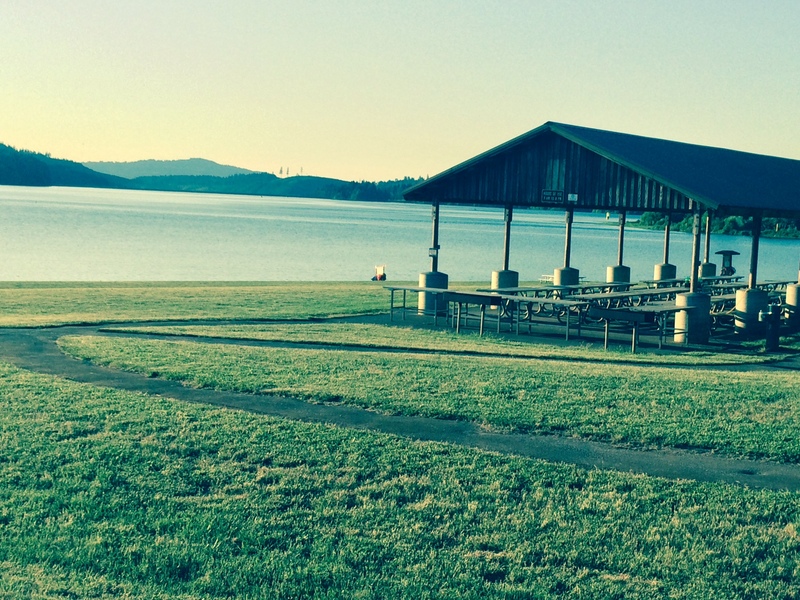 It starts in the beautiful Mary S. Young State Park and runs out and back along Old River Road paralleling the majestic Willamette River. Click here for course map. Our revised course, though fairly similar to that in the past, eliminates the hill up Glenmorrie Drive. Never fear, though, we’ve included another good uphill for you at about the 2 mile mark in the course. The course closes promptly at 11:15 a.m.
We will have a Kids’ Run at the 2019 Up the Lazy River event. This is an untimed run for the little ones. It will start at 10:30 a.m. or when our course monitors/sweeper say it’s safe to go. A lead runner and a sweeper will run with each group of kids. This is a non-competitive, fun-time, “everyone is awesome” event. Gatorade and water will be offered at the 1, 3 and 5-mile aid stations. Nutritious snacks including Franz Bakery bagels and beverages will be offered at the covered pavilion in the rest area to all finishers. After this fine event, take your UTLR bib down to Oregon City Brewing (1401 Washington Street, Oregon City, OR 97045) and get a free beer! This offer starts when the event ends on 5/27 and concludes one week later – June 3rd. This event is the Annual ORRC Masters Championship 10K event! All masters entrants—those 40 years-old and up—are automatically entered in the masters championship. The Nancy Hinkle Award is given to the top female 41-year-old runner. Single-year age groups for masters (everyone 40 or older) with ribbons 5 deep per age group. This means masters only compete against other participants of the same age (e.g., 53-year-old men comprise their own age group). Overall, Masters, and the Nancy Hinkle Award designations for this race will not overlap; that is, if the very first person to cross the finish line is a male master, that person would win the 1st Male Overall award, and the next male master to cross would win the 1st Male Master award. Likewise, if the first female master happens to be 41-years-old, she will win the 1st Female Master award, and the next 41-year-old female will win the Nancy Hinkle Award. Please note that gun times, not chip times, are scored (as per USATF Championship rules). Walkers and runners are scored separately. We don’t hold a traditional awards ceremony: Participants should obtain their results immediately post-race at the results table. There, find out how you’ve placed and if you’ve won! If you’re a winner, pick up your award ribbon (or plaque!) under the awards canopy in the finish area. We aren’t able to mail awards after the event, so be sure to take a moment to check your results before you leave! Overflow parking is at the West Linn Lutheran Church, located at 20390 SW Willamette Drive. There will be a volunteer there to point you to a connector walking path that will put you right by the start/finish line. This path is quicker than walking on the park access road. Safer, too! In addition to the rules linked above, No dogs or strollers are allowed for this event due to narrow trail widths. If you have questions about the event, please contact the race directors via email at upthelazyriver@oregonroadrunnersclub.org. We’d love to have you help us put on a great event. If you’re interested in volunteering, please click here or email race director Alan Smith at upthelazyriver@oregonroadrunnersclub.org.